The Theater of the Absurd is a designation given to a number of plays produced in Europe in the late 1950s. The works of these playwrights are founded on the idea that human existence has no meaning, a notion that evolved out of Existentialism. Artists included among those who wrote for the Theater of the Absurd included Samuel Beckett, Jean Genet, Eugene Ionesco, Harold Pinter, Vaclav Havel, and Edward Albee. Drama critic Martin Esslin coined the term “theater of the absurd” in 1960, who believed that many of these plays reflected the absurd nature of the universe as espoused by Albert Camus. Camus incorporated ideas of existentialism in his fiction, however many of these artists reject the label of existentialist, as many rejected the formal philosophy of Jean Paul Sartre. In fact, Ionesco hated Sartre, and wrote his play Rhinoceros as a criticism of blind conformity. Most of these plays focus on individuals trapped in an illogical world. 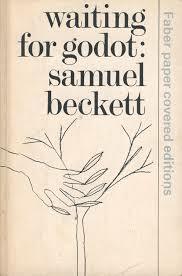 Perhaps the most famous example of the Theater of the Absurd is Samuel Becket’s Waiting for Godot. In this play, two men, Vladimir and Estragon, wait for the arrival of a man named Godot, who never appears. Frequently called the most significant play of the 20th century, Beckett’s work is open to multiple interpretations. The Theater of the Absurd continues to influence modern drama, from the avant-garde to the work of David Mamet, who dedicated Glengarry Glen Ross to Harold Pinter. Modernism research papers discuss the philosophical movement and way of thinking that believes human beings can create and reshape their own environment. Camus' The Stranger - Research papers on Albert Camus' existential novel "The Stranger" show that it is related to the depths of the irrationality of existence Camus presents. Paper Masters writes custom research papers on Theater of the Absurd and discuss the designation given to a number of plays produced in Europe in the late 1950s.